Isa bel obtained her Certification of Clinical Competence in SLP (CCC) from the University of Aveiro. She then passed the International Certification “Professional Training in Auditory Verbal Therapy” by WE Listen International, Inc., coordinated by Professor Warren Eastbrooks. Mrs. Monteiro has a Lectureship (as Adjunct Professor) at the Health School of the University of Aveiro. She is Executive Team Coordination of unit of auditory implants at CUF Hospital (UIA – CUF Porto) – Oporto. She fulfils SLP functions – Cochlear Implants habilitation, by invitation ENT service of CUF Hospital in Oporto. 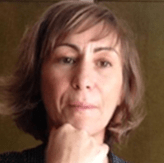 One of her achievements is the establishment and enhancement of a Community Based Consultation in SLP course of Health School of University of Aveiro in informal collaboration with the Hospital Center of Coimbra – ENT Service – Cochlear Implant Team. Throughout her professional career, first as a speech therapist (since 1987) and then as a professor of higher education(since 1991) the author developed her interest in the field of communication disorders in children with hearing loss and their families and in a very incisive way in the development track that is early intervention. In this research context, essentially during the last 3-4 years, the author sought to produce evaluation materials intervention in communication, hearing, speech and language, young children (0-6 years) and their families as well as their disclosure in academic, professional and scientific circles – in collaborative work with MED-EL Inc. and Cochlear Inc.